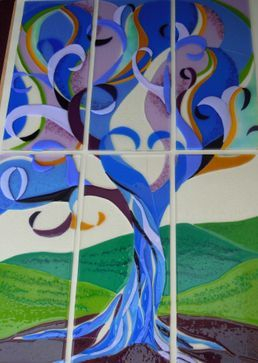 Helen Rose is a contemporary glass designer specialising in fused and kiln formed glass. From her garden studio in the Essex countryside Helen creates designs inspired by nature and the local environment. She teaches glass fusion workshops, works to commission, sells designs in local Tourist Information Centres and attends craft fairs. As a qualified teacher, with 16yrs classroom experience, Helen teaches a range of glass fusing workshops suitable for beginners to the more experienced glass artist. Classes are small and friendly covering a range of techniques, themes and materials. These are held in a new purpose built glass studio at the end of the garden.